Burial will take place at St. Mary's Cemetery, Paw Paw; followed by a luncheon. 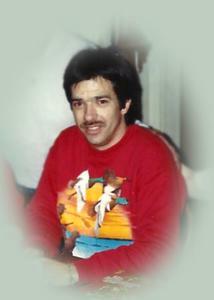 Stephen (Steve) Boyer, born in Kalamazoo, 1/7/57, was the 3rd child of Phillip and Sue (Thias) Boyer, passed away 9/16/18. He was raised in Portage, later moving with his family to Mattawan. He graduated from Mattawan high school in 1976. He played football for his freshman year of high school. Steve washed dishes at restaurants and mainly in the restaurant in the truck stop at the 76 station in Oshtemo. He enjoyed camping in the UP, tubing down the Muskegon River, baking, Tiger baseball, and he loved to tell jokes. Steve was the Godfather of Maria Allen (Boyer). He was a quiet gentle person. He wanted to see all of the waterfalls and lakes in Michigan, and so with his brother John, went on a quest to find Michigan’s many lakes and waterfalls. Steve also enjoyed the Thias Family Reunion every summer at Tunnel Park on Lake Michigan. He enjoyed visiting Lake Town as well. One of his favorite memories was white water rafting, with his siblings Larry, Kathy, Phil, and Nick, and cousin, Tom Thias, in West Virginia. He will be forever missed and live on in the hearts of his friends and family. He is survived by his siblings: Lawrence Boyer, Rosemary Blade, Teresa Boyer, John Boyer, Mark Boyer, Elizabeth (Paul) Carra, Nick Boyer, Kelly (Tony) Sehy, and Maria (Christopher) Allen; many nieces and nephews, cousins, and his Aunt Bobbie (Stan) Meyers, He was preceded in death by his sisters: Kathleen Boyer and Eleanor Boyer; brother, Phillip Boyer; nephew, Joshua Boyer; and parents: Phillip Bohnet and Sue Boyer. A Mass of Christian Burial will be celebrated at 11:00 AM on Saturday, September 22 at St. John Bosco Catholic Church in Mattawan. Burial will take place at St. Mary’s cemetery in Paw Paw, followed by a luncheon. Betzler Life Story Funeral Homes, 6080 Stadium Drive; Kalamazoo (269) 375-2900.